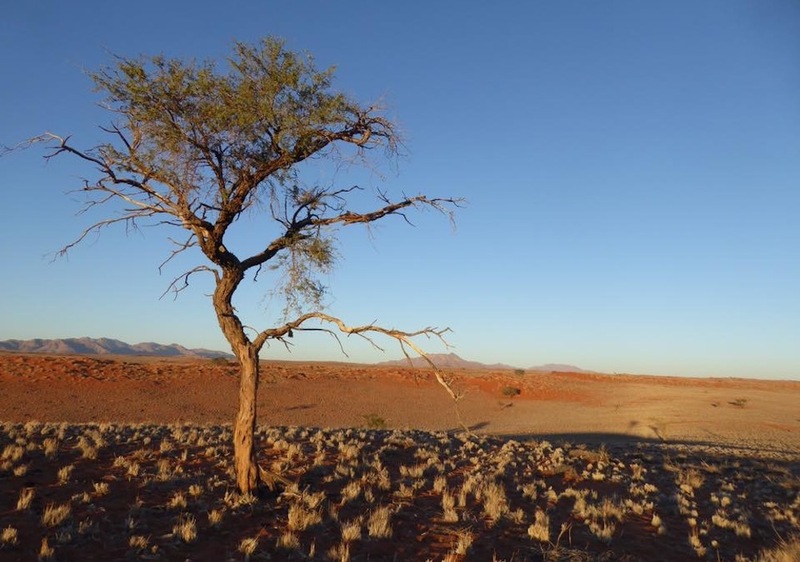 NamibRand Nature Reserve, Namibia. Photo by Gregory Rodriguez. When I was a gloomy 16-year-old grasping to find some meaning in the world, my father gave me a tattered copy of social philosopher Michael Novak’s The Experience of Nothingness. Seriously. There have been times over the past few decades when I’ve considered this “gift” a few yards short of insensitive and maybe even borderline teenager abuse. But I’m quite certain Dad’s intentions were no more malicious then than when he took me to see Annie Hall when I was 11. The essence of Novak’s argument—and to some extent Woody Allen’s classic 1977 rom com—is that individuals can achieve some semblance of wisdom if they stop believing culturally sanctioned sentimental pablum about life (and love) and embrace the essentially tragic nature of human existence. In my dad’s defense, Novak’s 1970 book was in no way a prescription for fatalism. Rather, it was an exhortation to find enlightenment on the other side of disillusionment. Accepting life’s despair and emptiness, Novak argued, was a prerequisite for becoming a liberated and fully conscious human being. Novak knew that what he was prescribing was no easy task. “Because it lies so near to madness,” he wrote, “the experience of nothingness is a dangerous, possibly destructive experience.” Having no recourse to the comfort of broadly embraced cultural symbols and benchmarks requires inordinate doses of honesty, courage, and ethical self-reflection. Novak’s brand of transcendent nihilism was itself a response to a cultural breakdown caused by the rapid social change of the late 1960s. Neither nostalgic for tradition nor putting full stock in the coming of the Age of Aquarius, Novak’s push to accept the void was more a do-it-yourself guide to living in the void than it was a viable call to collective action. [In his] brilliant new book, The Age of Anger: The History of the Present, [Pankaj] Mishra offers a sweeping, textured, unified theory of our dysfunctional age and explains what angry Trumpites, Brexiters, and radical Islamists all have in common: an utter fear of the void. I’ve been thinking a lot about nihilism lately, both because Novak passed away in February and also because I just finished reading Indian writer Pankaj Mishra’s brilliant new book, The Age of Anger: The History of the Present. Mishra offers a sweeping, textured, unified theory of our dysfunctional age and explains what angry Trumpites, Brexiters, and radical Islamists all have in common: an utter fear of the void. Eschewing facile political or religious explanations for the rise of nihilistic social movements around the world, Mishra points to a crisis of meaning wrought by globalization. He sees the destruction of local, intimate, long-rooted systems of meaning as the opening of a spiritual Pandora’s box within which lies infinite doubt and disillusion. Mishra sees these negative solidarity movements as the psychically disenfranchised targeting what they see as “venal, callous and mendacious elites.” Brexiters railed against liberal cosmopolitan technocrats, as did Trump’s white nationalists. Radical Islamists loathe the hedonism and rootlessness of wealthy Muslims who’ve surrendered to Western consumer society. Rather than advocate for an agenda that would provide them tangible returns, they all cling to nostalgia for simpler times and rally around their hatred for those they see as the winners in a new world order. In Mishra’s view, this new world order isn’t simply neoliberal capitalism allowing money, goods, and services to flow unimpeded across the globe. It’s also the attendant ideal of liberal cosmopolitanism first advocated in the 18th century by Enlightenment thinkers like Montesquieu, Adam Smith, Voltaire, and Kant. It’s the belief in a universal commercial society made up of self-interested, rational individuals who seek fulfillment. Despite his call to harness the experience of nothingness, Michael Novak duly warned of its dangers and potential for destructiveness. Unfortunately, his exhortation to lean in and embrace the void strikes me as about as helpful to frustrated millennials as it was to me when I was an angst-ridden teenager. The answer to today’s nihilistic political movements clearly isn’t more hyper individualism. Nor is a violent return to a traditional past realistic. No one knows how to escape from our current global age of anger. But I suspect that whatever answer there might be will first require us Western liberals to admit that we have finally reached the limits of the Enlightenment’s cult of secular individualism. Gregory Rodriguez is editor-in-chief and publisher of Zócalo Public Square.